Whether you refer to your customers as guests, patients, tenants, or something else, you want them to have the best experience possible. One way to do that is to provide a simple and familiar way to control the heating and cooling. 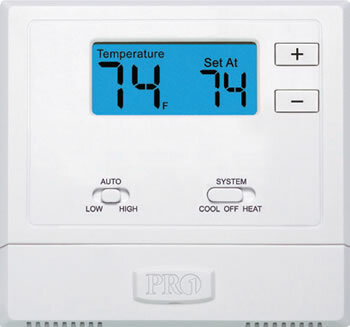 Air Distributors is pleased to offer the PRO1 IA wireless PTAC wall thermostat. The T631W-2 was designed specifically for use with PTAC units. It is a high quality, affordable solution to installing remote wall thermostats. If you have been putting off installing remote thermostats for your PTAC units because of high cost or wiring issues, you now have an affordable and easy to install option. Contact us for more information. Note: We do not sell this item to homeowners or the DIY market. It is available only to contractors and commercial end users.